The new Surface Pro 2, with its prodigious computing capabilities, has been built as a computing productivity machine for just about anyone. 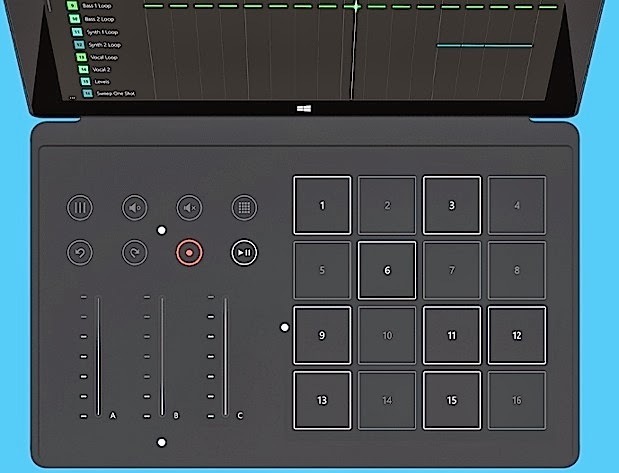 Spreadsheets, editing video and mixing music are all in the new Pro's wheelhouse, and that last task is why Microsoft is also revealing the Surface Remix Project and the Music Cover to go along with it. 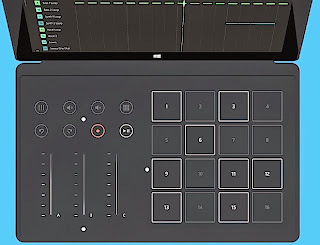 The Music Cover, as you might expect, comes with pressure-sensitive buttons that allow budding DJ's to craft and fine tune their next remix. It has 16 programmable pads for easy access to instruments and sounds, while there are pause / play and slider controls to adjust the volume and tailor transitions to your liking. And, just like the regular typing cover, it's backlit, so you'll be able to mix on the fly at any late-night sonic soiree. There is one downside, however: the Music Cover only works with the Surface 2, Surface Pro and Surface Pro 2, so original RT owners need not apply come October 22 when it goes on sale. Update: It turns out, the Music Cover will be distributed as a kit (for free!) to select musicians with the launch of its Remix Project on the 22nd, but we don't know when the rest of us will get a crack at it. Want to know if it's worth your dollars when the time comes? Check out our hands-on of the new hardware and software right here.